Luke Bolland needs to lose 25kgs to be at his recommended ideal weight, so he has tried to do that in just 10 months! No gym memberships, no personal chef, just raw determination... it's a recipe for disaster! Find out if he succeeded, be inspired (possibly) and laugh at his epic fails (likely). A world premiere show from Comedian Luke Bolland, the winner of the 2018 FRINGE WORLD Best Comedy Award! 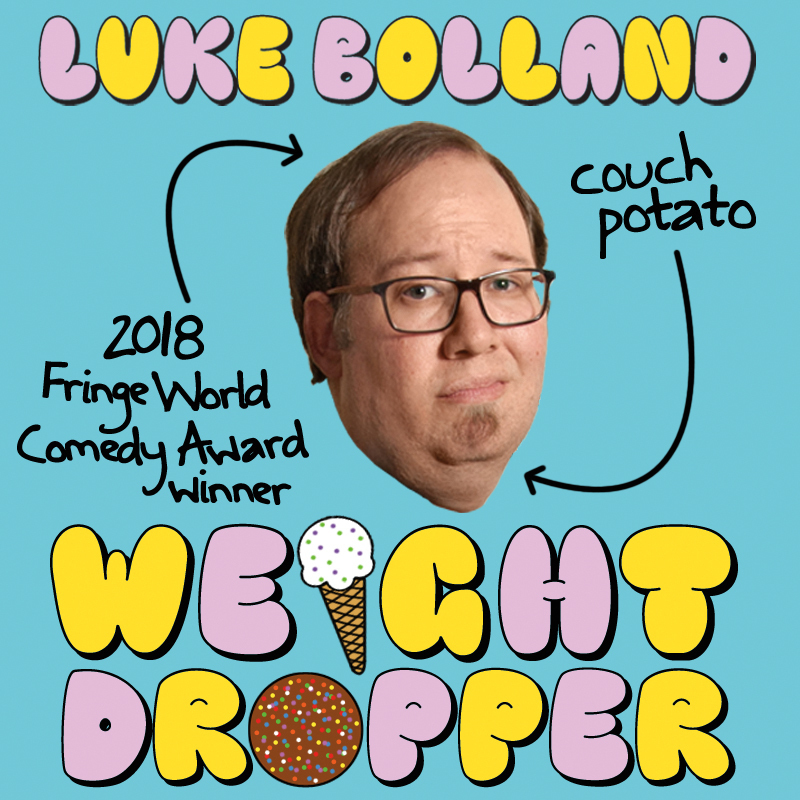 Five Star Stand-up Comedy is proud to present this world premiere of the 2018 FRINGE WORLD Best Comedy Award Winning comedian Luke Bolland. Weight Dropper is bound to be one of THE must-see shows at FRINGE WORLD 2019. Weight Dropper is a hilarious new show from one of Australia's hottest comedians that will inspire and, most importantly, make you laugh!